President of India Shri Pranab Mukherjee calls for speedy and transparent justice delivery by the Income Tax Appellate Tribunal (ITAT). Addressing a gathering of the All India Members Conference of the Income Tax Appellate Tribunal held in New Delhi today to mark the Platinum Jubilee Celebrations Shri Pranab Mukherjee said the Indian Economy has undergone structural changes over the years, The collection of Direct Taxes in 1860-61 was Rs. 30 lakhs, when income tax was introduced in India on 24th July, 1860. For the current year, the estimate for direct tax collection is Rs.7.98 lakh crores. This indicates the rising importance of direct taxation in India since introduction of Income tax and also the challenges and opportunities in the matter of direct Taxes. The growth and expansion of direct taxation has put an extra responsibility on the Income tax appellate tribunal, he added . ITAT is the final fact finding authority in the direct taxes litigation system. The appeal after the order of ITAT can only be filed before the High Courts and Supreme Court on the substantial questions of law. This put enormous responsibility on ITAT to appreciate, decide and deliver the judgment. The independence of Tribunal through its arm’s length relationship with taxpayers and the administration provides freedom to deliver orders, which are based on the principles of natural justice and global best practices. The president expressed happiness in noting that ITAT has lived up to these expectations. He said the rising trends in tax disputes and the quantum involved in tax litigations calls for an innovative tax litigation management system. Today we have 63 benches which operate from 27 stations. 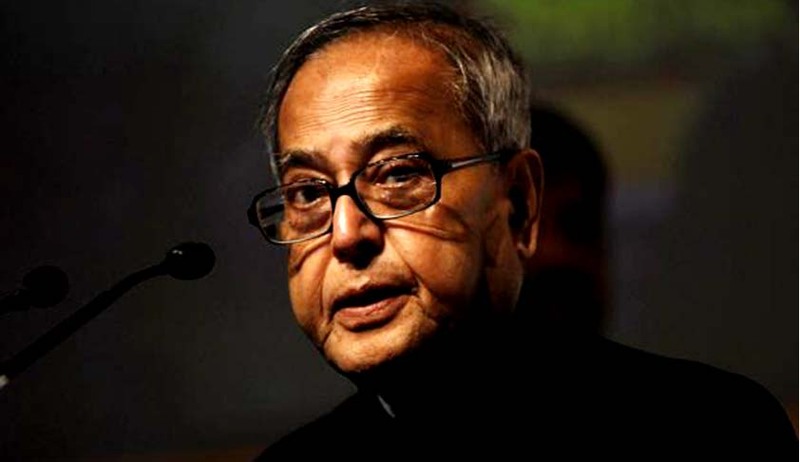 Shri Pranab Mukherjee said the complexity and challenges of the taxation system may lead to grievances and the quick resolution of disputes is one of the important ways to reduce grievances of the tax payers. Speedy justice requires a high degree of legal, technical and technological expertise in the organization. It also requires continuous updating of knowledge in the fast changing legal and economic eco-system. He also expressed his happiness on the recognition given by UNDP to ITAT for its work and in assisting the tax judiciaries of developing countries like Ghana and Nigeria. He said I would like to see ITAT in playing a lead role in tax jurisdiction where Litigation Management System is in a nascent Stage. Shri Mukherjee said transfer pricing, international taxation and taxation of digital economy are the frontier areas of taxation, which require special skill sets. Over the year taxation department has responded to meet the challenges through capacity development. The rising disputes in these areas call for trained manpower in both the tax department as well as in tax judiciary to keep India globally competitive in tax judiciary system. He said in today’s technical session three important areas of taxation relating to –(i) Tax Jurisprudance in Cross-border transactions, (ii) Emergence of Technology in Justice Delivery System and (iii) Tax Litigation viz-a-viz Ease of Doing Business in India have been discussed. He said these three are critical components of taxation policy and litigation management system for providing a stable, fair and equitable tax regime. The President complimented the organizers for selecting these important topics for deliberations. Due to technology, the speed of business has increased considerably; the tech savvy entrepreneurs and global Indians demand justice delivery system in line with the best global practices. Meeting the expectations of these twenty-first century entrepreneurs is a challenging job. He hoped that members of ITAT family and the Ministry of Law and Justice will respond to these challenges pro-actively. The tax dispute resolution system is an integral component of the eco-system for promoting investments and attracting business. As India looks forward to be an attractive business destination, you all have to play a very important role in this eco-system. Through speedy justice, consistent orders, fair approach and business oriented litigation management system, you can contribute to the growth story of India which is unfolding to the world, Shri Mukherjee added. The initiatives of E-courts, through which members of the Tribunals are disposing cases from smaller stations through video-conferencing model, is laudable. The example set up by two members of ITAT at Ahmedabad by disposing 300 appeals at Rajkot in a month, is an indication of willingness on part of the members to adopt new processes and procedures, which are technology based. He said you need to replicate such kinds of practices all over the country and become a true symbol of bringing tax justice at the doorsteps of the tax payers. Shri Mukherjee said 75 years is an important milestone in the life of an organization. Through these years, ITAT has established itself as an organization which follows the best practices and is always committed to evolve. He hoped that ITAT and members of its family will continue to excel in their area of work and contribute to the growth and development of the country. In his key note address Shri D.V. Sadananda Gowda, Union Minister for Law and Justice said this Tribunal is the oldest quasi-judicial Tribunal set-up prior to our date of tryst with destiny, rightly termed as “Mother of all Tribunals”. However, ever since the Income Tax Appellate Tribunal (“ITAT”), was set up in 1941 to decide Income Tax cases under the Income Tax Act, 1922, the process of tribunalisation of the justice system has slowly, but inexorably, grown to cover more and more areas of dispute resolution. Shri Sadanada Gowda said, the hallmark of any Institution depends upon the reputation which it builds up over a period and the litmus test is in maintaining consistency of it being fair and judicious, apart from rendering speedy justice. In this regard, I must say that the Income Tax Appellate Tribunal has steadily but consistently built up its reputation. I have noticed that the Tribunal has a backlog of less than one lakh cases but a close examination of the details reveals that broadly the appeals, except the cases which are delayed on account of litigants, are disposed of within six months to one year from the date of institution. All of you are aware that the income tax law is a complex piece of legislation where there have been frequent amendments year after year. Even for an expert body like ITAT, there is a strong need for the Members and practitioners to constantly update their knowledge to perform the functions assigned to them in an effective manner. I would be glad to offer any assistance if the Tribunal as an institution feels any necessity to upgrade skills of its Members and comes up with a firm proposal in this regard. The law minister said that the Departmental representatives too need to extend their co-operation so that the appeals are disposed of within the time frame. The practice of seeking adjournments except when it becomes critical and vital must be curbed. The system of Pre-trial hearings which is gaining popularity in developed economies should be put to use immediately. A major reform can be undertaken with Digitalisation of documents and setting up of e-courts. We must get rid of non-eco-friendly habit of using paper. We must move in the direction of e-governance to provide litigants better services not only for case management, but also for introducing effectiveness and efficiency in the litigation cycle. ITAT must conduct an internal evaluation of its procedures and adopt suitable modifications for quick and time bound disposal, Shri Gowda added. The Minister for Law and Justice pointed out that courts have observed time and again that the Government is the biggest litigant and is hampering speedy justice in genuine cases. Our Government has an objective of converting the Government into a responsible litigant. A number of measures are being taken to reduce the litigation from Government side. Recently the CBDT issued a circular directing their officers to withdraw all appeals from the Tribunal where the tax effect is less than Rs. ten lakhs. I am sure CBDT would come up with many more measures where the litigation can be reduced, including by not filing appeals in small and routine matters. I am conscious of the fact that the Tribunal is facing shortage of staff and Members and for most of the time; it functioned with 20% shortage as compared to its sanctioned strength of Members. Despite that, the Tribunal has tried to maintain a healthy ratio between institution and disposal of appeals. I am also given to understand that more than 80% of the judgments rendered by the Tribunal are accepted by the litigants and even with regard to matters which are carried in appeal to the higher forums; orders of the Tribunal are confirmed, barring in a few instances. This indicates that the Tribunal has maintained its rich tradition of rendering judicious, speaking and well-reasoned orders. The minister congratulated the entire team of the Income Tax Appellate Tribunal for striving to come up to the expectations of its stake holders and maintaining the high standards and wished the institution all the best on the occasion of its platinum jubilee. Justice Shri T.S.Thakur, Chief Justice of India on this occasion also emphasized the need for fully aware tech savvy members at the ITAT benches so that a speedy and fair justice could be given to the litigants. He said technical upgradation is the need of hour and we must work in this regard. The welcome address was delivered by Justice D.D.Sood, Chairman ITAT while the vote of Thanks was given by Justice G.D.Aggrawal, Vice-Chairman ITAT. On this occasion a commemorative Postal stamp costing Rs. 5 was also released.